The joy of Christmas - packages from back home. And Christmas cards scattered about! 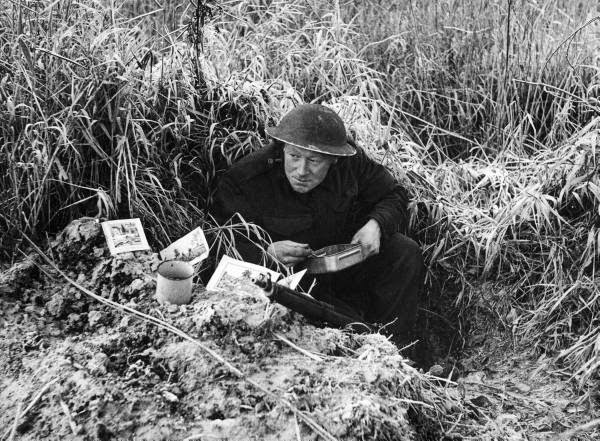 Holidays were sometimes celebrated in the trenches, decorated with Christmas cards from home. 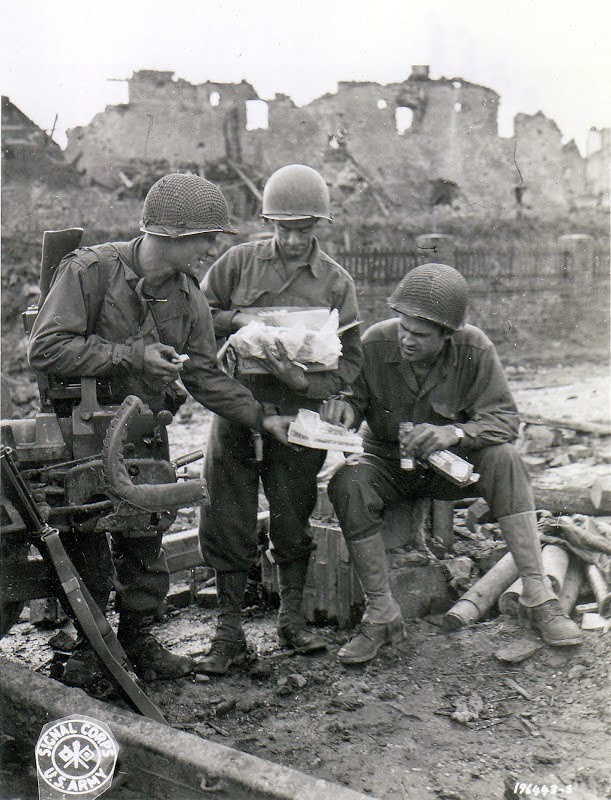 The simple things are what matter - if it is only a matter of simple fruit on Christmas Day 1943 in Italy. 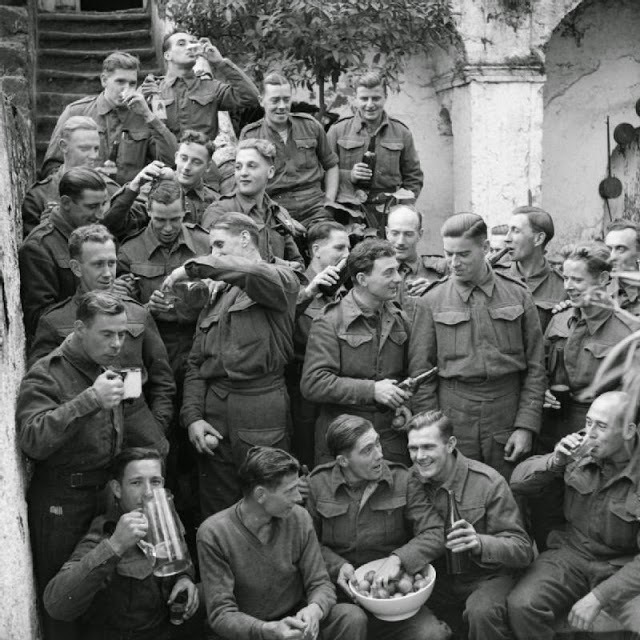 British soldiers pose for a Christmas portrait while partaking in fresh fruit and drinks in Italy, 1943.